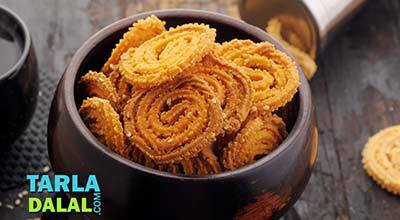 Chaklis are an indispensable snack for the Diwali season! 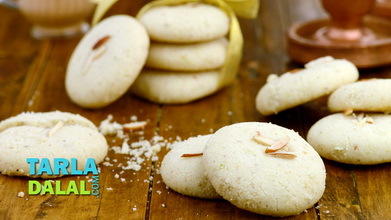 Not only are they ideal to accompany the sweets you share with friends and family, but they also come in handy when you want to have a quick snack with tea. 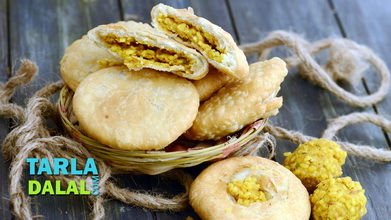 Made of spiced rice flour bound by curds and butter to make a soft dough, chaklis are super-crisp deep-fried savouries, which can be easily preserved for around two weeks provided you keep them in a dry and airtight container. While you might initially find it difficult to press out the chaklis into perfect circles, it will be a breeze once you get the hang of it! Combine all the ingredients in a deep bowl, mix well and knead into a soft dough using enough water (approx. ¾ cup). Divide the dough into 4 equal portions and keep aside. 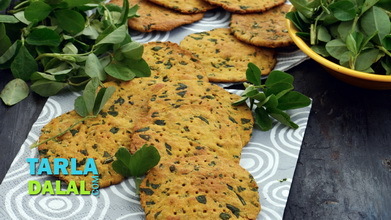 Take a portion of the dough and press it into a chakli “press” and cover it with the lid. Press out 50 mm. 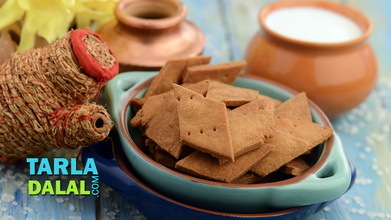 (2”) diameter round swirls of chakli onto an inverted flat thali, working closely from the centre to the outside. Press the chaklis very gently with the back of a flat ladle. 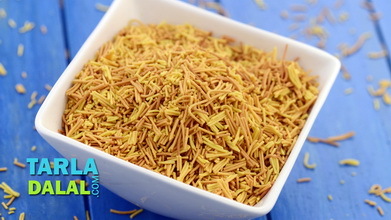 Heat the oil in a deep non-stick pan, deep fry the chaklis on a medium flame, till they turn golden brown in colour and crisp from both the sides. Drain on an absorbent paper. 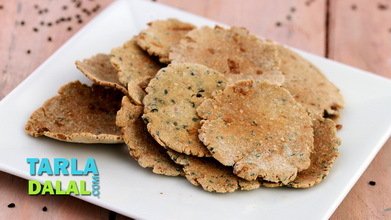 Repeat steps 3 to 6 to make 3 more batches of chakli. 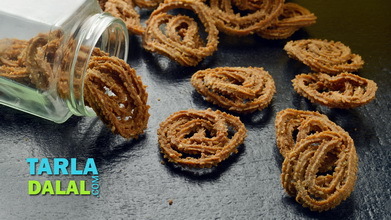 These chaklis can be stored in an air-tight container for 10 to 15 days.